It is important that parents/carers have a general awareness of good practice when selecting a sports activity for a young person to attend. This will ensure that they can enjoy sport within a safe and secure environment where they feel protected and empowered to make the most suitable choices. Providing children with positive sporting experiences means that they will be more likely to achieve their true potential. North Yorkshire Sport has produced a leaflet for Parents/Carers and provides information on good sports practice. The Department for Culture, Media & Sport (DCMS) has produced a leaflet to give advice to help you ask the right questions about important child protection measures that the sports providers should have in place, wherever and whatever your child participates in. Parents play an essential part in encouraging and supporting their child's participation in their chosen sport. However, many sports organisations and clubs have struggled to address the problem of poor parental/spectator behaviour in junior sport. The CPSU have developed a toolkit to help clubs and organisations tackling this issue. To view click the image to the right. Here you will find a range of template materials designed to be used in the course of presentations, workshops or in other training or learning events. These materials can also be used to develop information leaflets, guidance, posters or information for websites. If in doubt contact the club/organisation for specific requirements. Are aware of how and when to report a concern, allegation or disclosure about poor practice or possible abuse. All coaches and leaders must hold an up to date and recognised national governing body coaching qualification. This has to be appropriate to the level and sport being coached. It is generally understood that an assistant coach must hold a Level 1 qualification and should coach under the supervision of a more experienced and qualified coach. A Level 2 qualification is required for a coach to be coaching on their own. Does the coach have appropriate training? North Yorkshire Sport recommended that coaches have attended recognised safeguarding and protecting children training and this should be recognised by the appropriate NGB, Sports Coach UK or Local Safeguarding Children's Board. If coaches are working in schools it is recommended that they have attended education awareness training. Are coaches / club officials suitable to work with children & young people? All coaches and club officials who have direct contact with children and young people should have been appropriately recruited and screened. This can often include them having undergone an enhanced Disclosure and Barring Service (DBS) check (if their role determines this is appropriate). Clubs are also advised to take references when recruiting coaches & volunteers. The ratio of coaches to participants varies from sport to sport and should be based on (a) the age of the young people (b) the ability of the participants (c) the risk involved in the activity (d) Are there any additional needs of young people in the group with a disability. To get your sports suggested coach/player ratios please contact the National Governing Body directly. Who do I tell if my child takes medication? Sports organisations and coaches need to be aware of any medication that your child is taking, or if they have any other particular needs. You should be asked when you first attend an activity, but if not inform the coach and coach officials. 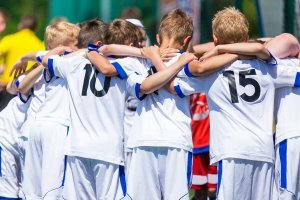 What happens if my child is involved in away fixtures? The club will take responsibility to ensure the safety of your child whist in their care. The sports club should inform you about the fixture or event arrangements. You should also be aware of how your child is getting to and from the fixture/event. Prior to the fixture you should be provided with a club parental consent form for you to complete and return, clearly stating all emergency contact telephone numbers and any medical information needed. The sports club/organisation should have, or be working towards NGB accreditation (for example Club mark / Charter Standard or Netball CAPS). This outlines the minimum operating systems of that sport. Accreditation ensures that the club is committed to providing a safe, effective & child friendly environment. Clubs/organisations should have a written code of conduct for parents/carers, coaches, club staff/volunteers and participants. The club/organisation should have public liability insurance in place. The premises/venue should satisfy fire regulations. The club/organisation should issue a consent form for all new members requesting details of emergency contacts, medical history and consent for your child to be photographed or videoed. The club/organisation should always have: Somebody on site who holds a first aid qualification, access to a first aid box and telephone. Guidelines for dealing with injuries. Mechanisms in place to ensure the safety of the venue and equipment. North Yorkshire County Council have developed a guide on safe parenting to view it click here. Your job as a parent is the most difficult there is - it can be both rewarding and challenging. It is a job where very little training is given to parents for what lies ahead. Every family experience difficulties from time to time and this can test the best of parents. There is not such thing as a perfect parent. However, there are some ways that can make it a less stressful and more rewarding experience. It is hoped this handbook will give you some ideas and information to help you find your way through what can be a maze of issues and advice. It gives contacts and further information you can follow up when you are deciding how to deal with your worries and difficulties. This handbook also lists some warning signs of particular difficulties and helps with some useful tips. The handbook has been produced by North Yorkshire Area Child Protection Committee - professional agencies working together to safeguard children.